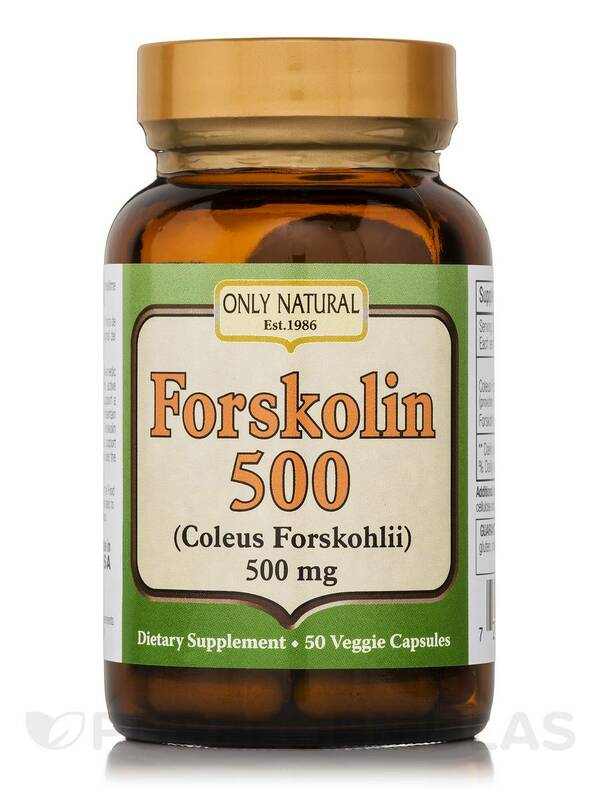 Only Natural's Forskolin 500 (Coleus Forskohlii) 50 veggie caps per bottle‚ is a synergistic blend of Forskolin extract and Forskohlii herb powder. 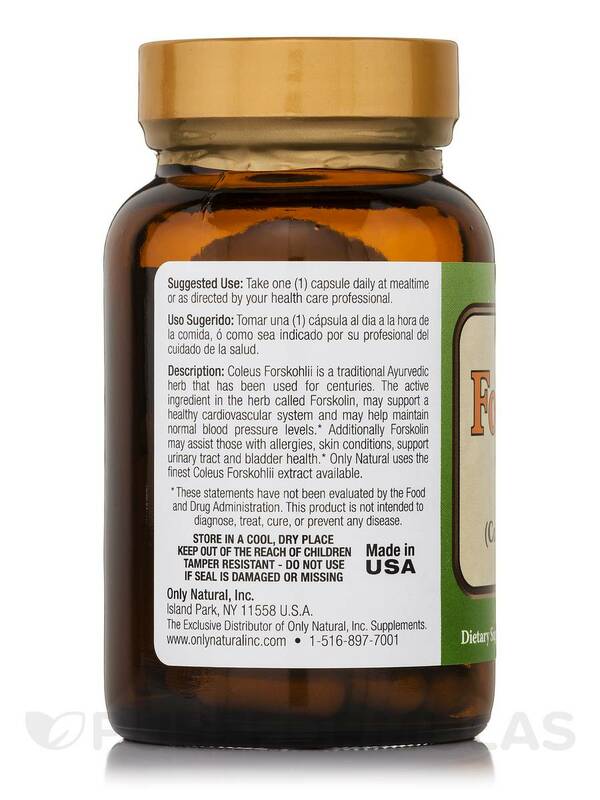 This traditional ayurvedic herb has been used for hundreds of years for its many health benefits. % Daily Value based on a 2‚000 calorie diet. 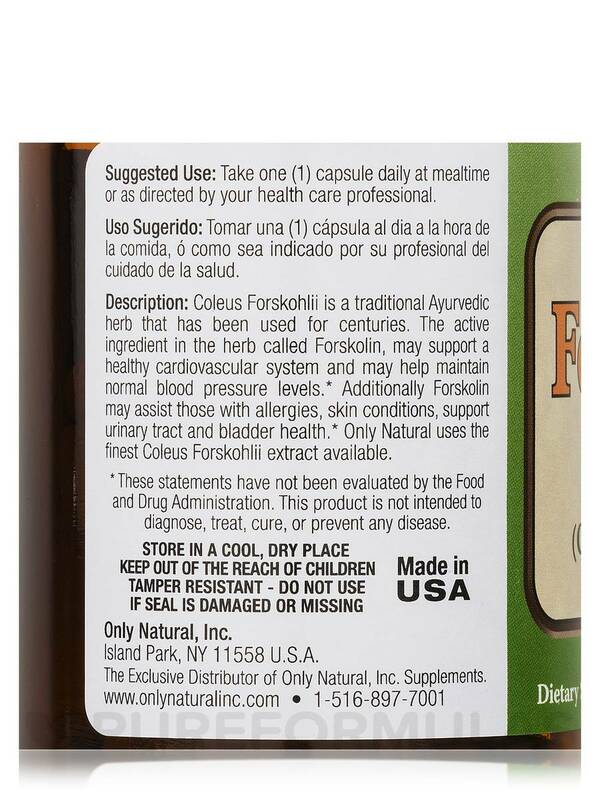 Additional ingredients: Vegetable stearate‚ Vegetable cellulose and Silica. 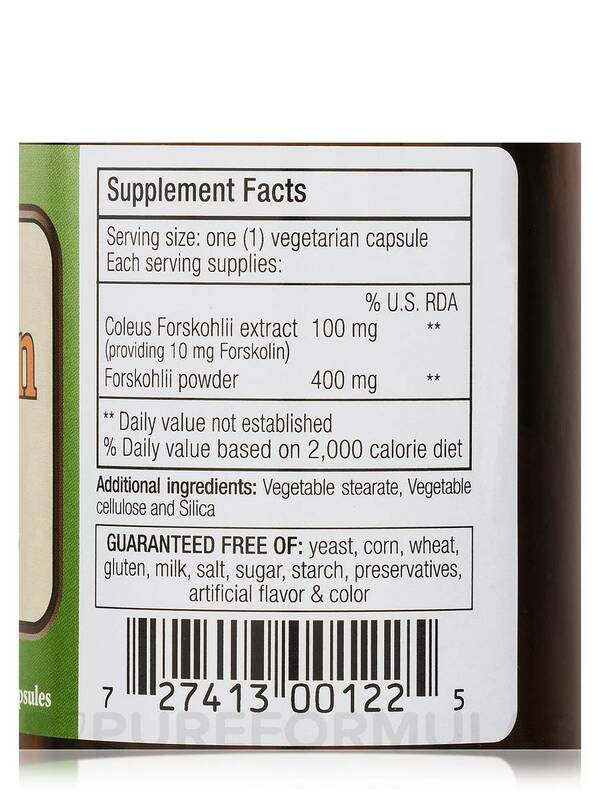 Guaranteed free of: yeast. corn‚ wheat‚ gluten‚ milk‚ salt‚ sugar‚ starch‚ preservatives‚ artificial flavor & color. 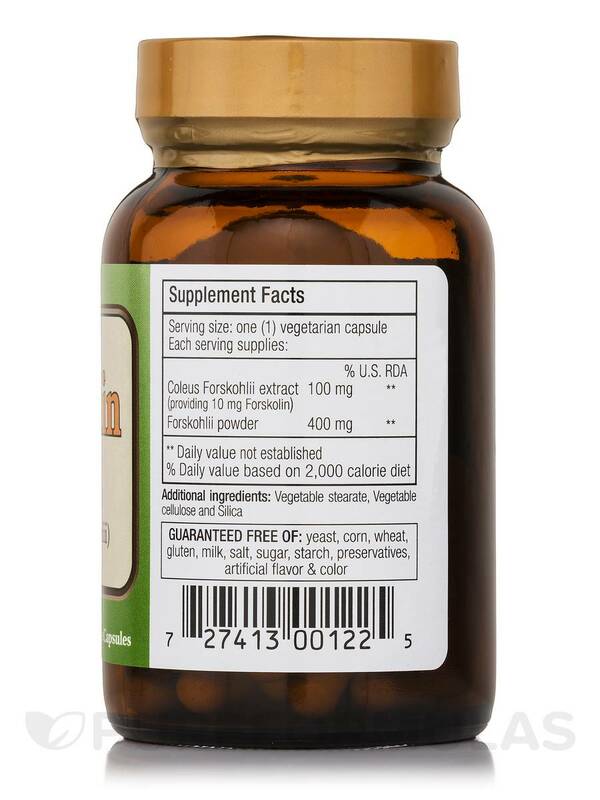 Take one (1) capsule daily at mealtime or as directed by your health care professional. hi my question is that i live in israel and i was wondering if you ship over seas or only to america? Hello, thank you for contacting PureFormulas. Yes we do ship internationally once you add your product to the cart click on international checkout.